Thank you so much for the link to the news article — I enjoyed that! I love Cheng’s quote and agree whole-heartedly. There’s no way to know with 100% certainty about any historical character, so we have to add in the imagined fictional. I’ve been reading the new middle grade series Zora and Me (second book will publish this September), a fictional account of Zora Neale Hurston, based on stories she told about her childhood. And it really just brings her to life, for me! Have a wonderful reading week, Tara! I’ll look for Silent Star, new title for me. 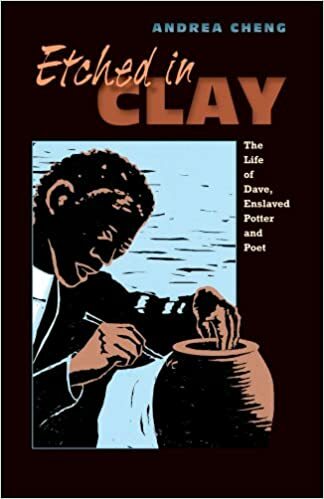 I enjoyed Dave, The Potter, and find it interesting that there are several books telling his story. Will look for this Etched In Clay with a new approach.Thanks, Tara. I have never heard of Etched in Clay. I will definitely look for this one. It is intriguing to me! 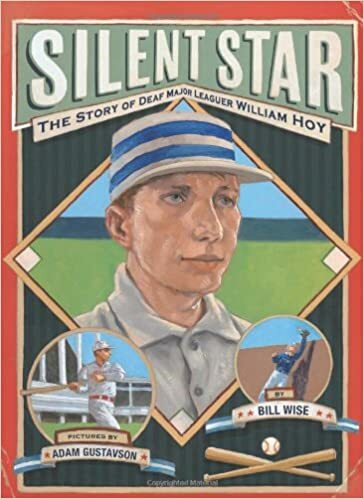 I have never heard of William Hoy and now I can’t wait to read about him. I love a story that has a person triumphing over an obstacle. Etched in Clay sounds like an interesting and important read. I have come to enjoy these fictionalized biographies. I think we get a richer understanding of people’s lives. Thank you so much for sharing. I will see if I can get these books. Tara, I saw a play William Hoy many, many years ago and it always stuck with me. This book is sitting on my table right now. Thanks for the reminder to move it to the top of my stack.